A compact adhesive universal adapter is easily attached to the majority of mobile phones, no matter what material their casing is made of. The adapter is to be attached to a smooth surface only. Quad Lock is considered to be the lightest, strongest, and safest bike holder on the market due to its dual stage locking system. 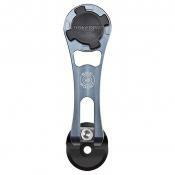 This mount is made of heavy-duty aircraft-grade aluminum which is outstandingly reliable. Vertical attachment of the adapter only. This holder has a lot of modifications for the most popular smartphones. The shockproof case protects your gadget really well. There is a folding lower tray that holds your smartphone and protects it from slipping. The side locks of the adapter might accidentally press the volume buttons of a smartphone. 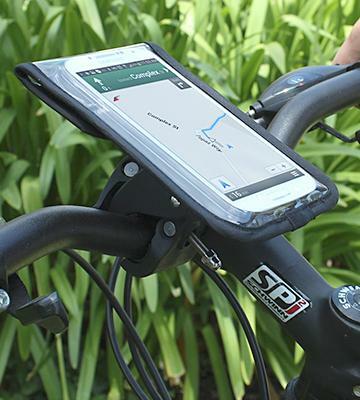 TaoTronics bike mount can hold both a large smartphone and a small tablet, which is its major advantage. The smartphone is protected really well thanks to the durable waterproof pouch. The top of the adapter is glossy, so it glares in the sun. 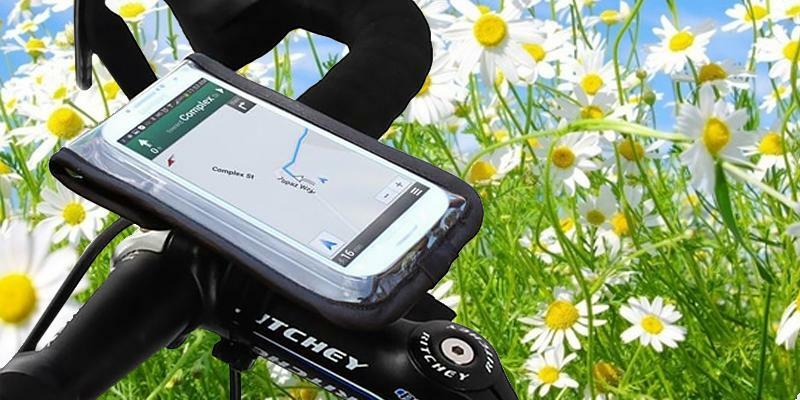 The bike phone mount has fantastic protective features such as IPX6 waterproof standard. So, even if you use your mobile in rain or snow, it won't be damaged. 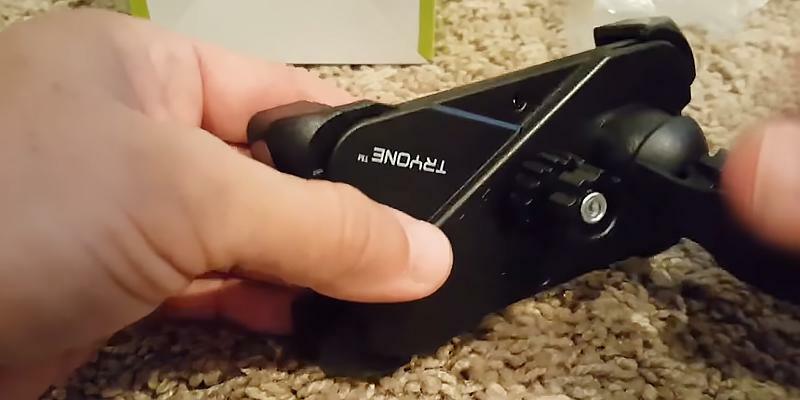 An easy angle adjustment allows you to attach the mount close to handgrips. The adapter can't be used with thick smartphones. This bike phone holder is mounted quickly, easily and tools-free. 5" x 4.3" x 2.8"
The Quad Lock Universal Bike Mount Kit boasts a patented locking system which is remarkably reliable despite quite a simple design. Thanks to the dual stage locking system, your smartphone won't slip off even if you accidentally hit it as there is a special blocker. The mount is so reliable that it withstands a load of 220.5 lbs - quite an impressive result, right? A universal adhesive (3M VHB) adapter is tightly attached to your smartphone on its cover. The company workers also took safety into account and paid much attention to this fact because smartphones are expensive devices, they may cost more than $1000. Therefore, it's important that they're stored in a proper way. 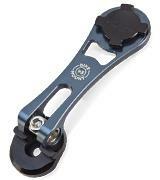 You don't need any tools to attach this mount to your bike - it's not just effortless but incredibly quick as well. All mounting hardware is included in the package. 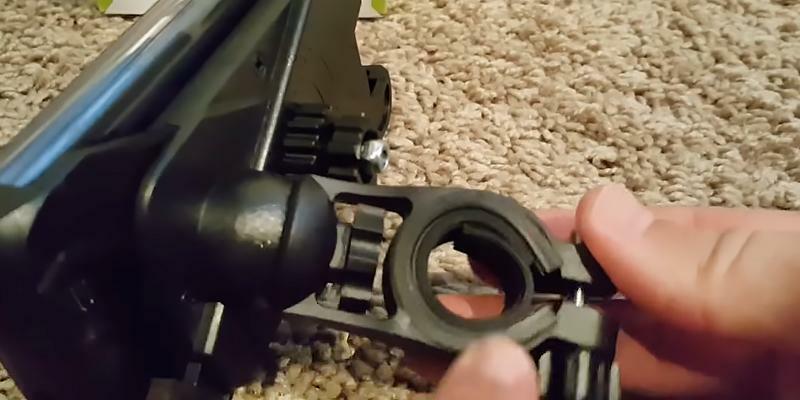 The mount is tightly fixed to the stem by means of O-rings and zip ties, so no tools are required. 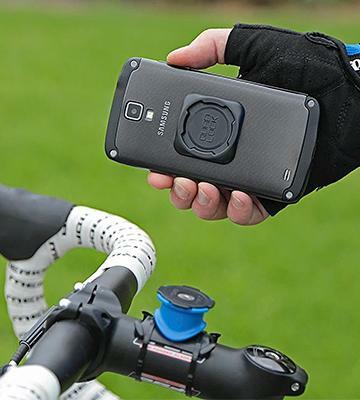 No matter what stem diameter your bike has - this bike phone mounts fits all of them. The adapter itself is attached to the back side or the case of your smartphone. The adapter is really small and compact (weighs just 0.3 oz), so it won't cause any inconveniences if you need to to take your gadget. Of course, you can use a special case with an adapter for bike rides and a different one for everyday use. If you are an owner of iPhone 5/5S/SE, 6/6S, 6/6S Plus, we recommend you to purchase a protective case that already has the Quad Lock. Works very well for mounting a smartphone onto your bike. 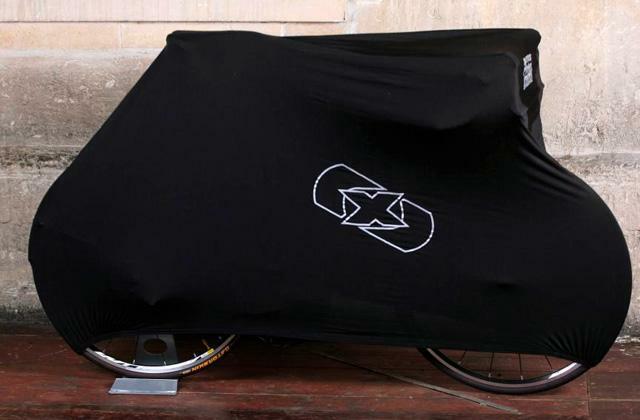 This is very secure and you won't feel any type of movement during a ride. Fast rough down hill, a couple crashes so far and it has been rock solid. Stuck it to the back of my phone case and there's no way it's coming off. 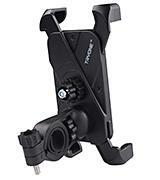 This Rokform bike phone holder has a unique mounting system. It is mounted not on the handlebar, like many other holders, but fixed to a stem bolt. This method is safer and more convenient. 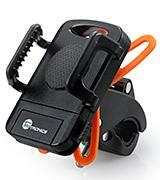 This bike phone mount is particularly suitable for trekking bikes and road bikes with so-called drop-bars. 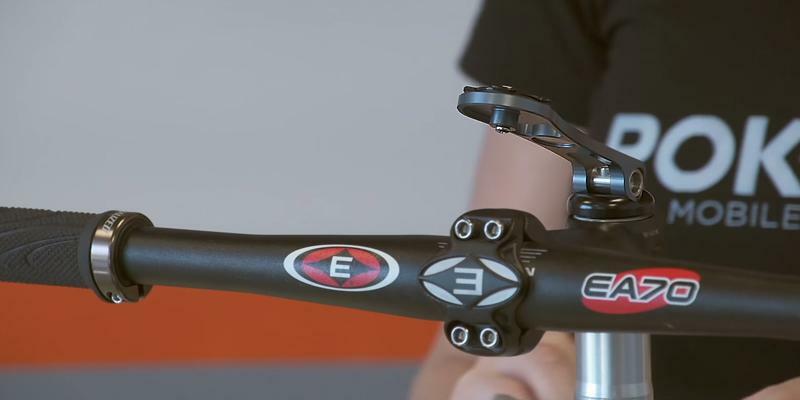 In other words, stem bolt mounting is the best option for handlebars incompatible with conventional mounts. Needless to say, any person riding a touring bike and covering large distances on a regular basis needs to use a smartphone for navigation. Thanks to this type of bike mounts, you can change your phone position easily and use it as a dash camera for capturing every moment of your riding. 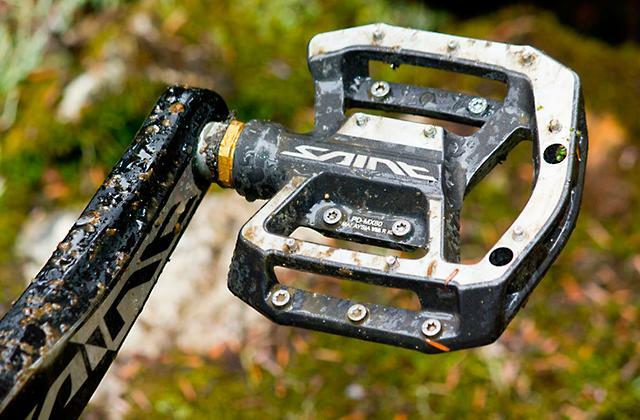 If you're a fan of extreme off-road and mountain cycling, this is exactly what you need. 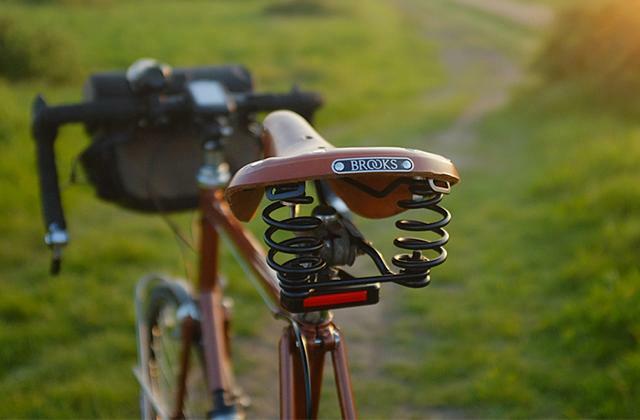 Because this bike holder is capable of withstanding all kinds of bumps and jumps over hills. This all-metal mount is made of heavy-duty aircraft-grade 6061 T-6 aluminum. The smartphone lock is strong enough and prevents spontaneous disconnection. So, stop worrying about it! Besides, the holder has a high-power magnet for additional fixation of your smartphone. The magnet almost eliminates vibrations while you are riding, so everything that is shown on the display of your smartphone is perfectly visible and readable. Few people know about Michael Seacrest who became a famous and absolute record-holder in one-day riding. During 24 hours, this American cyclist rode stunning 1,217 miles, which means his average speed was around 50 miles per hour! We recommend every cyclist to use a bike tool which can help you tighten some loose screws and cycle without any troubles. Best bike mount I have ever had! Very solid and holds my phone very well. I am often asked where I got it! Compared to other handlebar mounts, this cantilevered design provides better shock and vibration isolation for your expensive smart phone. 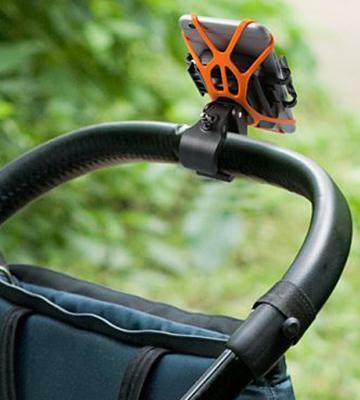 The TaoTronics Bike Phone Mount is a universal holder that can be used not only on bicycles but on a stroller as well (quite an advantage for parents!). This gadget is compatible not only with a smartphone but with a phablet or even small tablet since the holder has non-slip rubber grip cradles and an orange rubber band for the maximum security. Therefore, you can be sure that your smartphone isn't going to slip off and break apart. 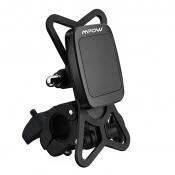 The bike phone mount is compatible with all handlebars that make 1.57'' in diameter. We've already mentioned you can mount this holder on a handlebar of a stroller and walk with your baby while browsing the web or chatting with friends. 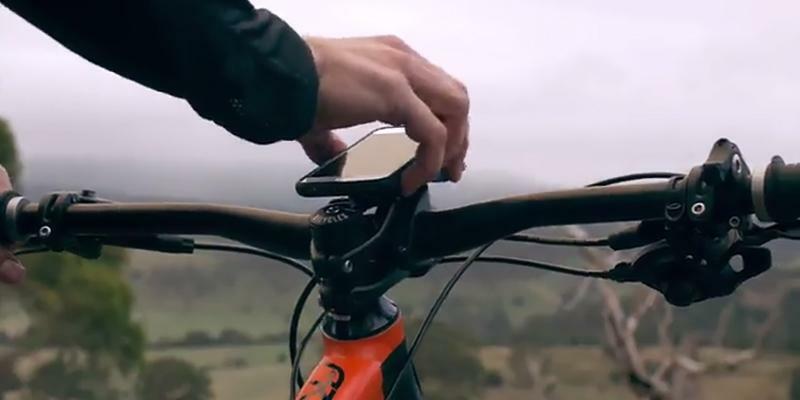 Releasing your device from this bike phone mount is effortless thanks to the one-click release mechanism and you can do it with one hand only. 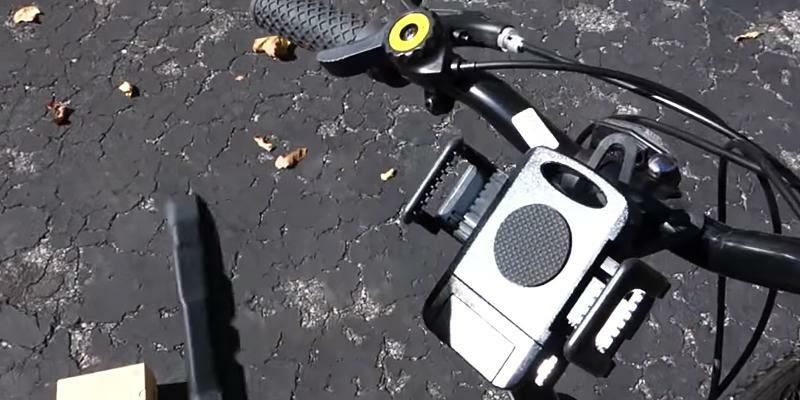 Needless to mention, this amazing bike phone holder is adjusted vertically or horizontally. The first round-the-world bike tour took place back in 1886. The bikes of that epoch would seem rather unusual for us, people of the 21st century. Their front wheel was around 4 times as big as the rear one and pedals were attached right to the hub of the front wheel. 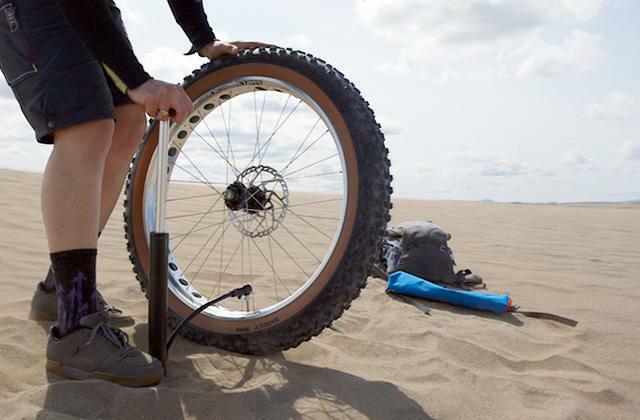 Moreover, it seems unbelievable but bikes had no shock absorption system and even no tires! The hero who managed to ride around the world was Thomas Stevens who left San-Francisco in the morning on April 22, 1884. He cycled 3700 miles and reached New York where he spent a winter. Afterward, Stevens traveled to the UK, France, Germany, Austria, then India, China, and finally, he reached a Japanese city of Yokohama where his round-the-world bike tour officially ended on December 17, 1886. In January 1887, Mr. Stevens left Japan and sailed to his native San-Francisco. He's believed to have covered the overall distance of 13500 miles! You can carry a lot of your stuff in a handy bike seat bag. I actually bought this to mount my iPhone on my electronic drum kit. I wish I had bought it years ago!! As such I've had my holder for about a month now and everything is holding up perfectly, the phone is stable but easily rotates if you want it to for any reason. Bicycle phone holders are truly necessary gadgets for every person fond of cycling. They protect your smartphone even if you fall whereas it is likely to be broken if carried in a pocket. Of course, carrying a smartphone in a backpack is even more secure but it makes using the phone rather inconvenient. And a bike phone holder allows you to use your phone while cycling. Moreover, a smartphone makes riding a bike a lot easier and fun! For example, you can launch a navigation app and track your route, you can enjoy listening to music, you can answer incoming calls, and so on and so forth. However, there might be a problem and it's called weather. What if it starts raining? If your smartphone isn't water-resistant, the rainwater might damage it. 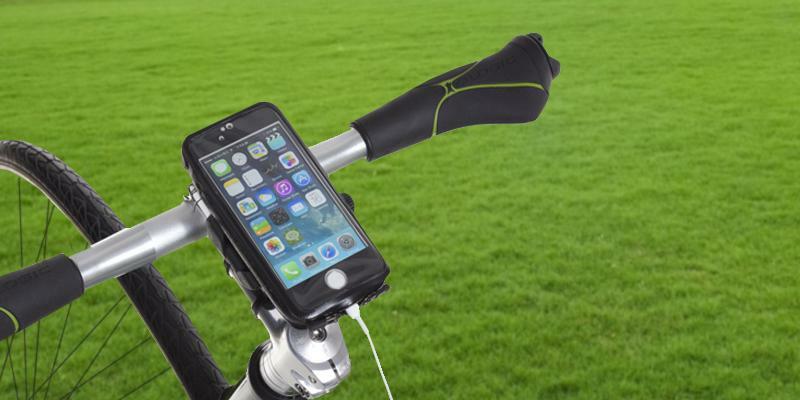 However, the Satechi bike phone mount provides the ultimate protection of your device even in case of a downpour! The bike phone holder boasts an excellent rate of water-resistance - IPX6, which means the holder is waterproof. Enjoy cycling and live a healthy life! This Satechi universal weatherproof case protects your smartphone from getting wet, ensuring the durability of your gadget. Yet, the case has a special window allowing you to capture videos and photos right on the go. Moreover, you can easily adjust the screen orientation (horizontally or vertically). Oh! We should also mention that the front panel of the case is touch-sensitive, so you will always be able to use the touchscreen of your device. As we all know, applications on smartphones can be pretty useful when riding a bicycle. For example, "Runtastic" on Android and iOS devices offers a huge number of functions available in PRO version. This app can turn your smartphone into a genius GPS cycling computer with 50+ exciting features. For reference, the free version can monitor the statistics of your riding and remember the data. Paying for the PRO version will let you track almost all indicators including altitude, burned calories, maps and directions, and a lot more. 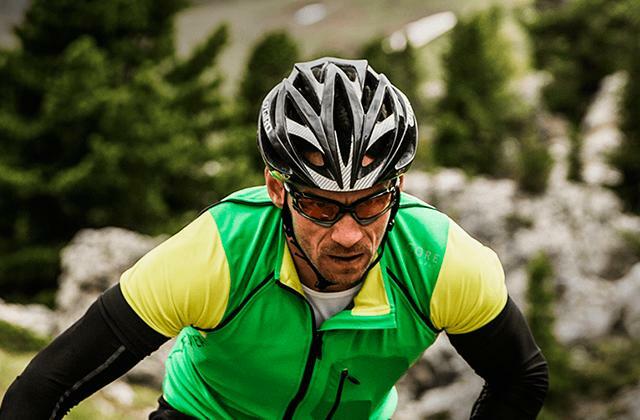 In addition, the app is offered in two versions: for road bikes and for mountain bikes. Start tracking your cycling, benefit from a comprehensive analysis of your activities, and make progress. 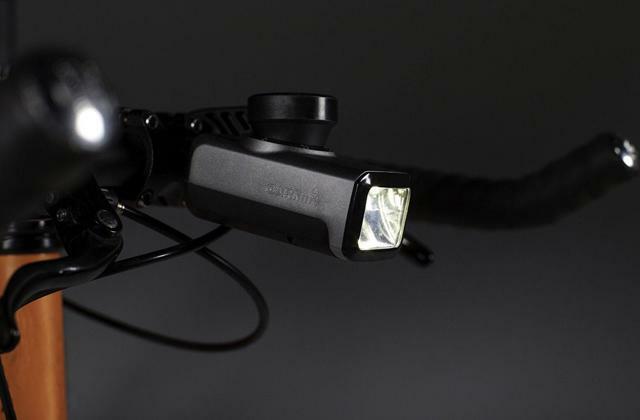 The set of two waterproof headlights and taillights will be an excellent addition to your bike. 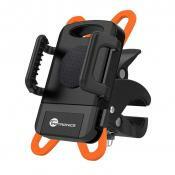 The Tryone Universal bike phone holder is one of the most affordable yet extremely functional gadgets of its kind. It's suitable for any smartphone with a screen size of up to 7''. 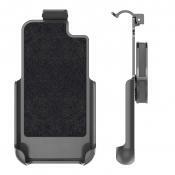 The buckle structure of the holder ensures a firm and reliable fixation of your smartphone. 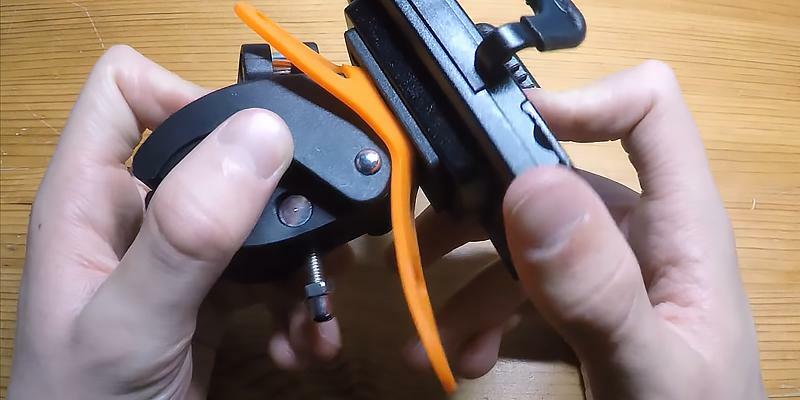 The adjustment process is simple: you just tighten a bolt joint till your phone is securely gripped by the mechanism. Once you've put your smartphone properly, it won't ever vibrate during cycling. We also liked the tool-free installation of the mount - you only need to tighten the lock. 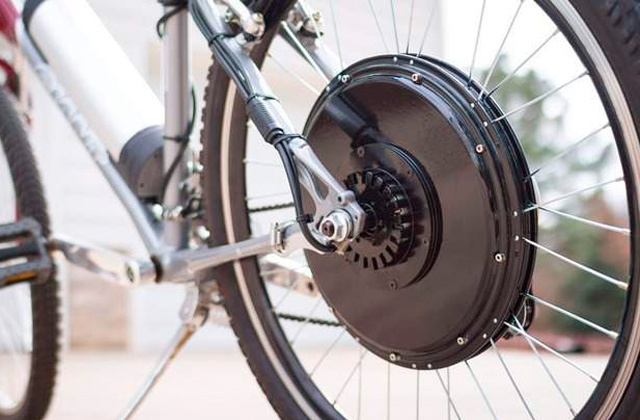 There are many different bike applications today and they are really helpful. We would like to draw your attention to such a popular app for cyclists as Strava. Actually, this app was created specifically for bike riders. The interface of Strava is very simple and doesn't require hours of configuration. The app monitors your activity and tracks the distance you ride, your maximum and average speed. Moreover, this handy cycling app has a built-in navigator that shows your whereabouts so that you don't ever lose your track. Unlike many other apps for cyclists, Strava allows you to share information and also compete with other users online. Of course, this app is available to both Android and iOS users. If you can't live without riding your bike, Strava will certainly come in handy! This reliable bike lock has a 4-digit code, so you don't need to worry about losing the keys. 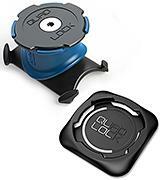 In addition, you can easily carry this lock on a special mount. 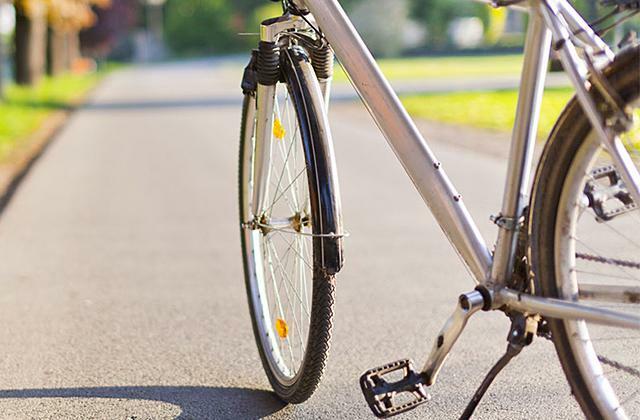 A bike mount is a useful and convenient accessory to use on your bike. 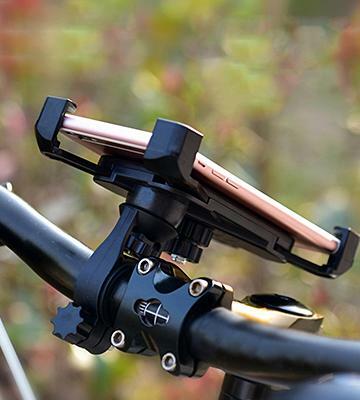 Firstly, you attach its bracket on a handlebar (or stem) and then, place your phone in it connecting it via a special adapter. 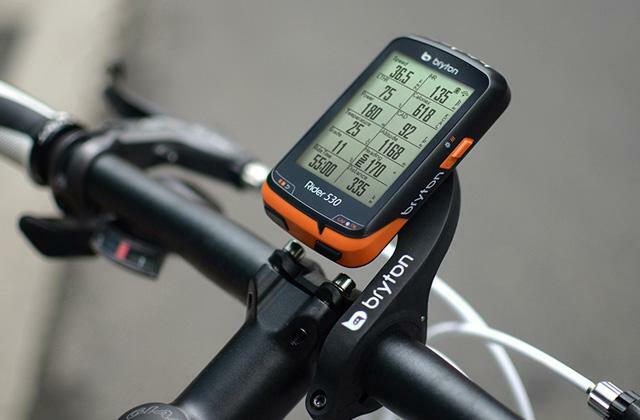 A vast array of smartphones today support a GPS module which is popular with bike cyclists who use it regularly to trace down the distance from one place to another and think of new routes. For them, keeping a mobile before eyes is even more so important. With bike phone mounts it's become not only possible but also very convenient. 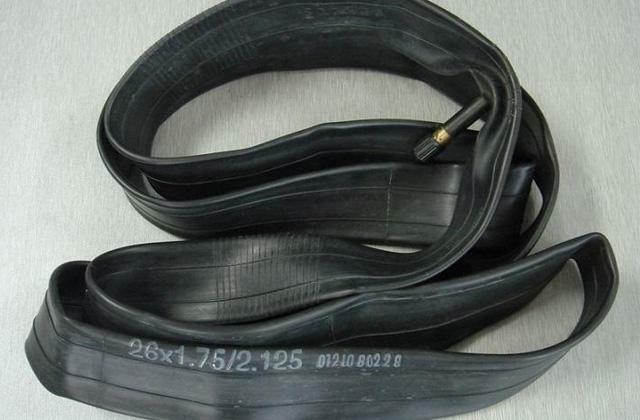 If you are a fan of cycling, make sure to read some of the key tips on how to choose bike tires for different types of riding. 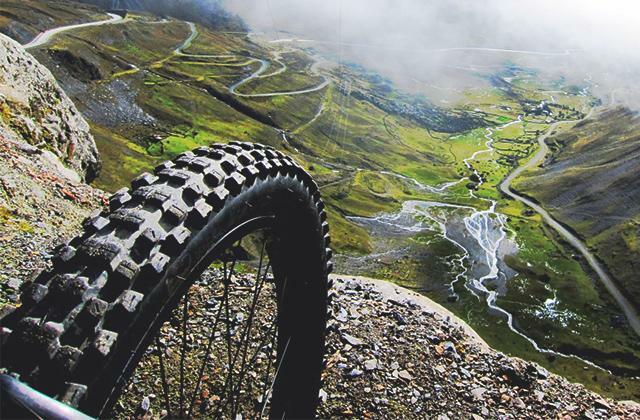 We've got a comprehensive review on the best mountain bike tires and road bike tires to help you make your mind. 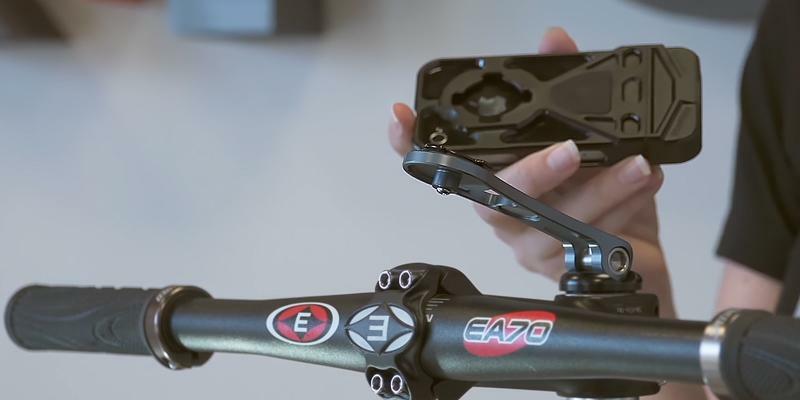 The main part of bike phone mounts is a bracket and you should choose it properly. It can be mounted either on a handlebar or a stem. The mounts are universal and can be fixed tools-free, the only thing you need to consider, however, is a diameter of a handlebar on your bike. You may also check the material to find out if the chosen mount would have enough capacity to hold a heavy gadget firmly and securely in place. A preferable option would be to get a mount with a metal bracket. 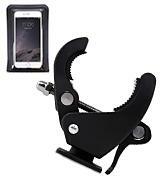 Usually, metal bike phone mounts cost a bit more, yet, they also offer better durability. 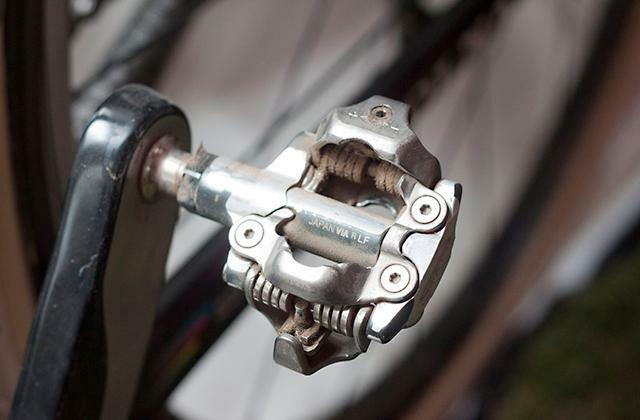 Consider the size of the whole mount together with a bracket to know if it's not going to block your access to the speed switch and brake levers. A lot of manufacturers today produce exclusive bike phone mounts compatible with certain popular smartphones. They look and fit these gadgets like a glove, cradling the housing and matching its style. There are also universal mounts that can be used with a great number of phones regardless the brand, yet, you'd still need to consider its size to know that your mobile would fit. Most bike phone holders boast extra conveniences for users to simplify their use. Some of them, for example, have a pivoting mechanism, allowing users to adjust the screen orientation. Some come with a protective waterproof case to prevent digital gadgets from possible damage during heavy rain or snow. 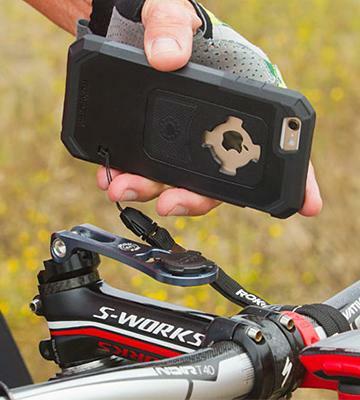 The case may have an opening for a camera so that it's possible to keep taking pictures, recording your route, etc. regardless the weather conditions. The choice is vast and it's up to you to decide what phone bike mount suits your needs best. Patrick Allen How to Turn Your Bike Into a Pokémon Go Machine, Lifehacker. July 14, 2016. Aaron Couch Want To Mount Your Smartphone On Your Bike? It’s This Easy, MakeUseOf. December 13, 2013. Bicycle Handlebar Phone Holder, Instructables. USING YOUR SMARTPHONE AS A GPS UNIT, BIKEPACKING. May 18, 2016. Ben Delaney Best iPhone and Android apps for cycling, BikeRadar. June 13, 2016. Jonathan Lee Custom Phone Mount, Trainer Road. January 3, 2015. Smartphone Cycle Apps, The Cyclists' Champion UK. Use Your Smartphone Like A Gopro, Videomaker. June 2014.